Robert Lewandowski is arguably one of the most successful footballers in Poland’s history. He is a fiercely talented striker, and he has made a real name for himself during his time playing with Borussia Dortmund and the Polish national team. It doesn’t take a rocket scientist to see that he has talent in the sport, and a professional footballer is obviously capable of making a lot of money. How much money has Lewandowski made over the course of his career? How wealthy has he become as a result of his work? In this article, I will talk about Robert Lewandowski’s road to success, while also making sure to address how that success has affected his wallet. Without further ado, let’s learn a little bit more about this famous footballer. How did Robert Lewandowski make his money and wealth? Robert Lewandowski was born in Warsaw, Poland in August of 1988. He grew up in an athletic family. His father, Krzysztof Lewandowski was both a judo champion and a footballer for Hutnik Warszawa. His mother was also into sports, particularly as a volleyball player for AZS Warszawa. As a result of this upbringing, I guess it isn’t much of a surprise that he would be so drawn to football at such a young age. Robert began his career in 1997, when he was just a teenagers. He played at MKS Varsovia Warsaw, and he would play there for seven years. In 2004, he played at Delta Warsaw, where he was actually able to see some time on the first team. Lewandowski wasn’t entirely able to show his skills until he began playing in 2006, when he played with Znicz Pruszków. During his time in that season, he was the top goal scorer in the Polish third division with a total of 15 goals. His performance helped Znicz Pruszków earn a promotion into the Polish second division, where he also thrived. During the 2007-08 season, Lewandowski had the honor of being the Polish Second division’s top goal scorer, this time with a total of 21 goals. As you can probably imagine, this impressive performance attracted attention. In 2008, Robert was signed to Lech Poznań for 1.5 million zlotys. (That’s equivalent to around $380,445 or £303,600, for those unfamiliar with the currency.) Lewandowski began officially playing for Lech as a substitute during the UEFA Cup, more specifically in a qualifier round against Khazar Lenkoran. Robert made an immediate impression, scoring the first and only goal of the entire match. He would keep up this solid work through the remainder of his time with Lech Poznań, and he helped to lead the team to win the championship during the 2009-10 Ekstraklasa. That same year, he would be the top goal scorer with 18 goals. Needless to say, by this point, Robert had firmly established his merit on the field. In 2010, he made national headlines when he joined Borussia Dortmund in June of 2010, signing a four year contract. He saw a major role during the 2011-12 season due to an injury from Lucas Barrios, and he seemed to thrive under the pressure. He played phenomenally, which resulted in him being named the Best Player of the Year in Poland for the first time in his career (thought it certainly wouldn’t be the last time). Despite the fact that he had moved into a much more competitive league, Lewandowski was still able to finish out the year as the third top goal scorer with 22 goals and six assists. By the end of the season, he was DFB-Pokal’s top goal scorer as well, with seven goals. Robert carried his momentum quite well into the 2012-13 season, when he had yet another impressive year. Perhaps his most notable accomplishment came in April of that season, when he became the first player to score four goals in a Champions League semi-final in Borussia Dortmund’s victory of Real Madrid. Although Dortmund would end up in the 2013 UEFA Champions League Final, they would end up falling to football powerhouse Bayern Munich. However, in the 2013-14 season, Lewandowski and the rest of Dortmund would end up getting their revenge when they went on to win the 2013 DFL-Supercup against Bayern Munich, with a final score of 4-2. During this season, Robert would also score his 100th goal in a game against VfL Wolfsburg during the DFB-Pokal semi-finals. At the end of the season, Robert Lewandowski and Borussia Dortmund lost in the 2014 DFB-Pokal Final to their rivals over at Bayern Munich, with a final score of 2 – 0. Dortmund’s history of losing against Bayern Munich only made Robert’s next career move even more surprising. During the 2014-15 season, Lewandowski signed a five year contract with Bayern Munich, officially coming aboard the prestigious German club. He continued his stellar play on this other team, ending his season as the second top scorer, tied with teammate Arjen Robben and behind Alexander Meier. During the 2015-16 season, Lewandowski continued to make major waves. He entered a game against Wolfsburg as a substitute and scored five goals in less than 9 minutes, which astonished people all over the world. This was not only the fastest hat-trick in Bundesliga history (with three goals in four minutes) but it was also the most goals scored by a substitute in Bundesliga history. Robert was also responsible for both of Bayern’s goals in their 2-1 win at FC Ingolstadt to become national champions. In the final league match of the season, he scored his thirtieth goal of the season, which made him the first foreign player to ever do so in the Bundesliga. The 2016-17 season has been underway for a good deal of time now, and perhaps his most notable achievements thus far are helping Bayern win the German Super Cup and scoring a hat trick at the 2017-17 Bundesliga season opener. Late last year, he extended his contract with Bayern Munich up to 2021. Just a couple of weeks ago, he scored his 100th goal with the club. In a relatively short period of time, Robert Lewandowski has become a football star. Robert Lewandowski has been married to Anna Lewandowska since 2013. Much like her husband, Anna is quite the gifted athlete. Her main specialty is in karate, where she has won medals on several different levels. She is also a well known nutritionist. As one of the most talented footballers in the world, it isn’t much of a surprise that Robert is paid handsomely for his play. In 2016, he made approximately 10 million euros while playing for Bayern Munich. This is equivalent to about $10.8 million, or £8.5 million. How much does Robert Lewandowski make per game? It’s hard to come up with an exact figure regarding how much a footballer makes per game, since the number of games player per season can vary. Using the 2015-16 season as an example, however, Robert had 61 appearances on the field. Using some simple arithmetic, we can figure out that that means that he makes about 163,934 euros per game. That’s equal to about $177,000 per game, or £141,700 per game. Considering his skill, I would say that that’s well worth it! Late last year, Lewandowski attracted a little bit of attention when he decided to purchase an apartment in Warsaw. The apartment cost about £6 million, or $7.5 million. The tower block is nearly 200 meters tall, and it’s home to some seriously impressive facilities. The tower features state of the art world-class training facilities, but it also has a few fun features, too. Lewandowski can look forward to spending time in the tower’s full size swimming pools, luxury spa, and even in the gold simulator. Overall, it may not be a mansion, but it’s still a home to be proud of. As a footballer, Robert Lewandowski has countless honors to his name. Over the course of his career, he has been named the Polish Footballer in a year six times, consecutively since 2011. He was IFFHS World’s Top Goal Scorer of the Year in 2015. He was named the Polish Sportspersonality of the Year. He was named the Ekstraklasa Best player in 2009. He was Bundesliga Top Goalscorer during the 2013-14 and 2015-16 seasons. He holds four records with Bayern Munich, all from his incredible five goals in nine minutes. He may not be considered a football veteran just yet, but he has certainly made his mark on the game. Lewandowski is worth way more than 45 million… your estimate is off by about double. Lewandowski signed a new contract and is the highest paid Bayern player in history. He has a 100+ mil contract plus endorsements from Nike, Gillette, Coca Cola etc. He makes loads of money just off of sponsors. 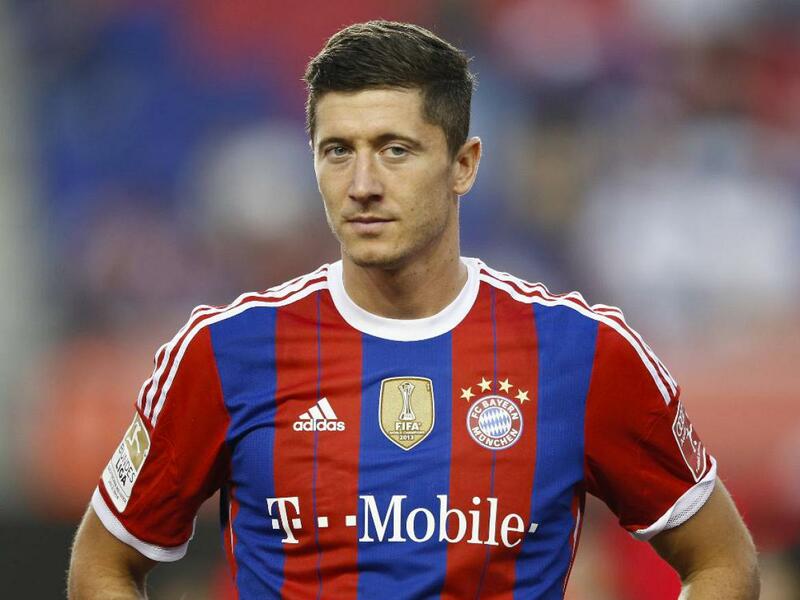 Lewandowski owns a private jet and is worth over $100,000,000 just on his football contract money. 45 million is not only off but makes no sense since his transfer to Bayern was 55 million+ bonuses. After he extended his Bayern contract he became the highest paid player in Bundesliga history.